You would never have known there was an oyster shortage if you were in downtown Arcata this weekend. Matt Drange reported in the Times-Standard the annual Oyster festival drew huge crowds of people who consumed 100,000 shellfish. 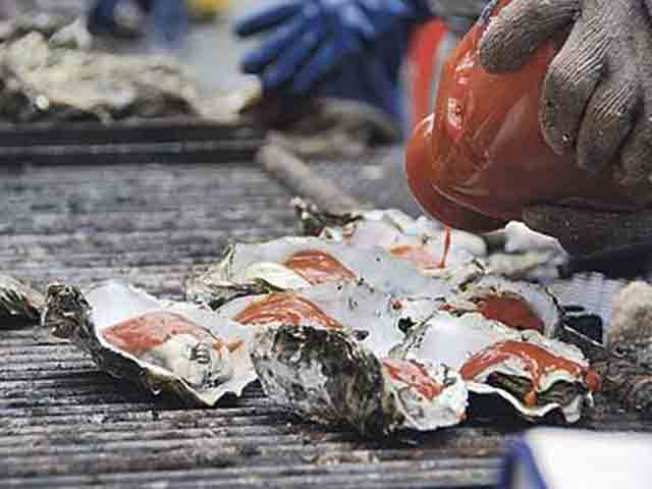 The Humboldt Bay Oyster Company alone sold 38,000 oysters. Oyster farmers up north say they have sympathy for their counterparts in the Gulf. "I really, really feel bad for those guys,” said Greg Dale, a southwest operations operator for Coast Seafoods. Most places in the country other than Arcata are having a tough time finding any oysters to purchase. The Gulf oil spill has brought Louisiana's oyster industry, which provides most of the country's supply, to a standstill with the closing of more than 100 miles of coastal oyster beds. On Tuesday, the restaurant chain Red Lobster announced it is taking oysters off its menus. "Passing along a higher cost to our customers is something we're not going to do," said Rich Jeffers, a spokesman for the nationwide chain of 666 restaurants said Tuesday. One of the other two areas that produces oysters is just up the coast in Humboldt Bay, home to Arcata. But it turns out the disaster in the Gulf spill is not going to be an economic boon to Northern California producers. They say they already sell everything they grow. "If any region sees an uptick (in demand), it will be the East Coast. The Carolinas and Florida are going to be the ones that fill that market because they produce what that region is used to," Todd Van Herpe, who owns the Humboldt Bay Oyster Co. told the Times Standard last week. 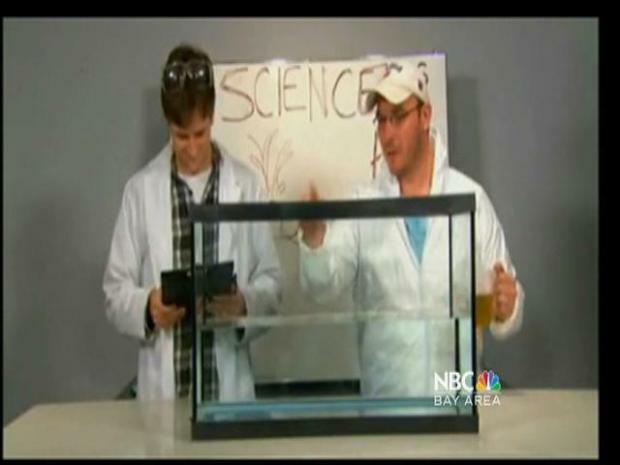 They also say the Gulf of Mexico produces a different-looking and different-tasting oyster. 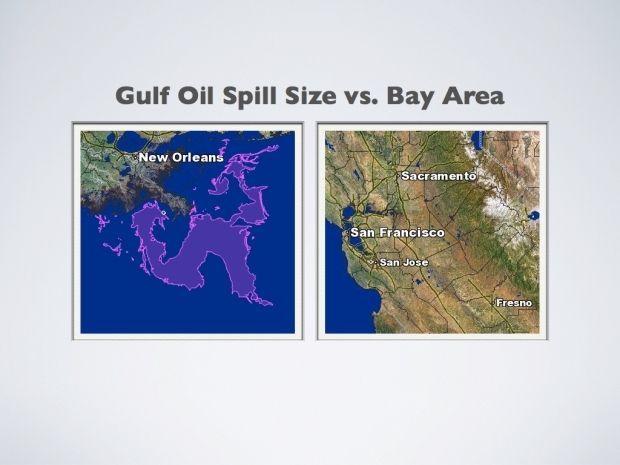 Bay Area based- YouTube is loaded with ideas for getting the oil out of the Gulf Coast. Apparently, you can't simply make more oysters on demand. "In general, it takes us two to four years to grow oyster crops, so it's hard to respond when there's a surge in demand from something like this," said Bill Dewey of the Seattle area's Taylor Shellfish Co. "The Gulf, and Louisiana in particular, is the leading oyster-producing area in the country, and so when they go down it creates a huge void." 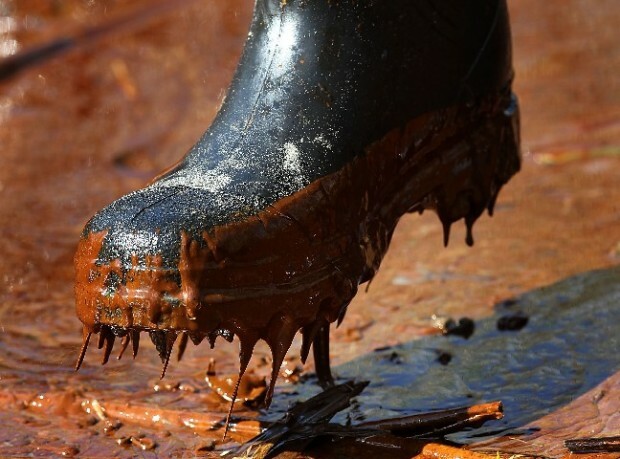 Humboldt County knows the impact of a spill, even on the smallest of scales. In 1997 a ship ruptured its gas tank while in Humboldt Bay. Only 4,000 gallons of fuel dumped into the water but was enough to stop oyster growing season for weeks. Growers say even after the test gave the bay the all-clear, it took months to get the confidence of customers back.